Maserati sounds as alluring as Ferrari to many, and there are several reasons for that. They range from legendary Bora and 70’s to the more recent history and MC12 hypercar. Yet, Maserati is not on the same level as the Ferrari for a long time, and only sports car in the current offer is Gran Turismo priced at half of the cheapest Ferrari or California model. That is just the start as mentioned model is about to cease its production leaving Italian sports car maker without any supercars in the lineup until new Alfieri model arrives which is minimum three years away. Still, barely scraping to sell a couple of thousands of units annually through the 90’s and 00’s, haven’t proved much lucrative for Maserati, and a new plan was forged. Connection with glorious past was widened even further when Ghibli was launched as an executive saloon and especially last year when first SUV Levante debuted. Actually no, since we had biturbo models in sedan shapes during 90’s and even if it is, we bet Italians don’t care. Ghibli is selling in bigger numbers than all other models of the brand combined, and it is the main fact why Maserati’s sales way more than doubled since its introduction. 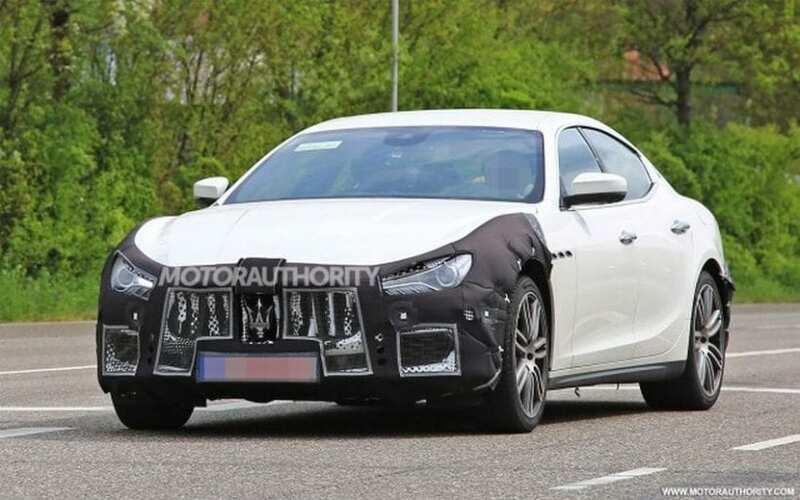 It has been four years from its revelation and due to the fact that it is probably the most important model for the company, spy photographers have caught masked 2018 Maserati Ghibli roaming down the public streets. First of all, this vehicle is a visual work of art as Quattroporte is and we don’t care even if nothing changes in that area. 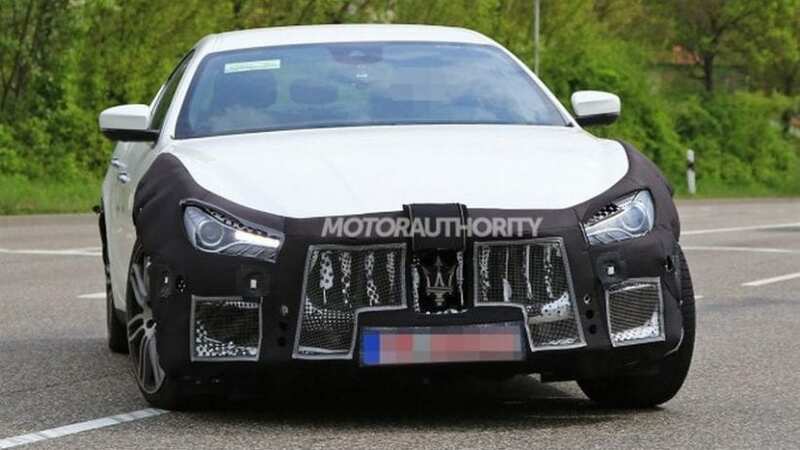 Still according to spy shots fascia is awaiting some reconstruction, with probably even more expressive grille garnished with thicker slats, while rear bumper might get a slight dose of aggressiveness. On this test mule lights are not covered, but there is a possibility for new interior layout when facelifted model debuts. The cabin was updated last year with a new 8.4-inch touch screen, so we don’t expect anything new with this one. Currently, we have 3.0-liter twin-turbocharged V6 rated at 350 hp or 410 hp in S version mated with the 8-speed automatic. In the case of the lower output, it reaches 60 mph in 5.5 seconds, while S version drops that to 5 seconds or even 4.8 if equipped with AWD. There is a rumor that S version could go for 450 hp, which we are about to see soon. Europe will still offer the 3.0-liter turbocharged V6 diesel with 250 or 275 hp. 2018 Maserati Ghibli SOMETHING ELSE? Refresh will bring new models to choose from and instead Luxury and Sport trims, we will have GranLusso and GranSport, same as in Quattroporte. 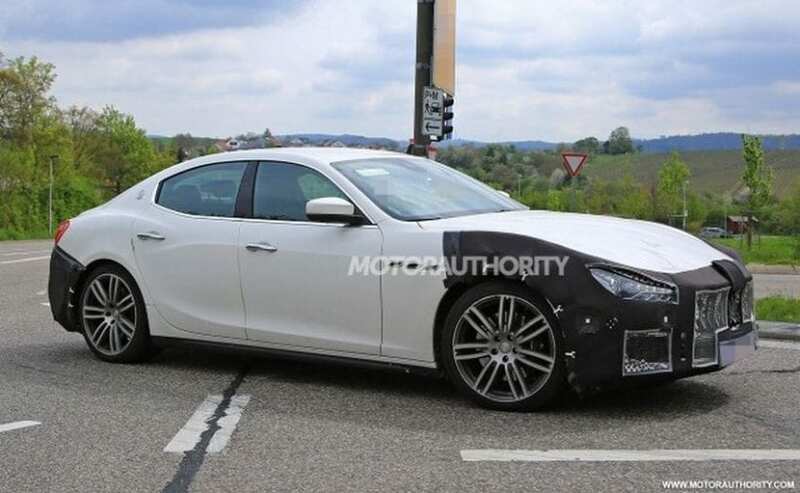 2018 Maserati Ghibli will probably debut during this year and despite it doesn’t come with German build quality or refinement, despite it is not especially reliable, despite some others reach 60 mph faster with same power, and despite it doesn’t suit all European tastes with lack of weaker engines, it remains most elegant and alluring sedan in its class. Enough for you to forget about everything else.